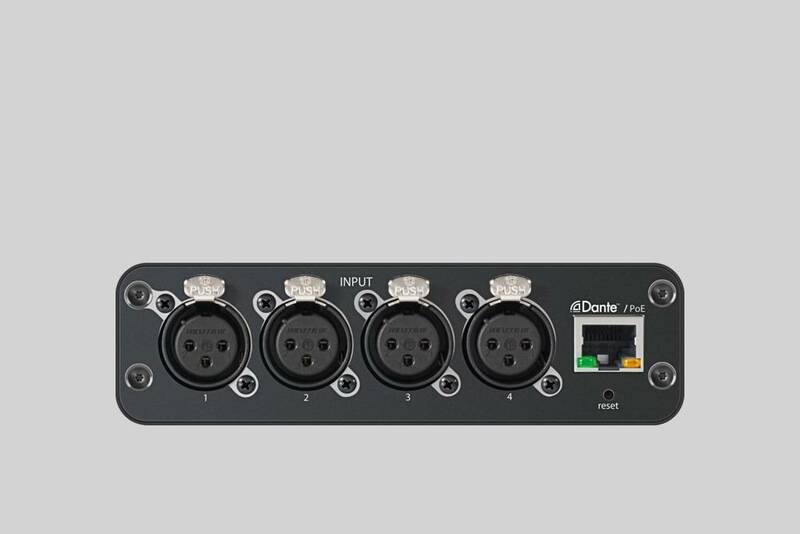 Audio network interface brings up to 4 analog wired microphones onto Dante. 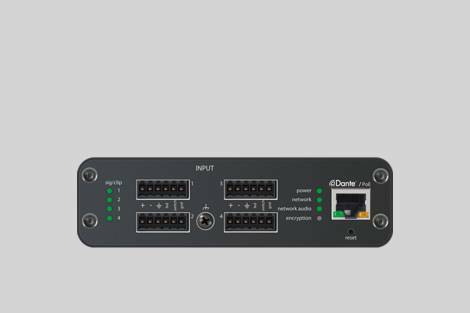 Audio network interface brings up to 4 analog wired microphones onto Dante for easy audio routing and convenient browser-based remote control. View the ANI4IN-XLR and the ANI4IN-BLOCK Software GUI Demos.